What is the project location?The project is located at Ghodbunder Road, Mumbai Thane. What is the area of apartments in Lodha Splendora? The area of apartments offered in the project ranges from 401.0 sqft to 1737.0 sqft. 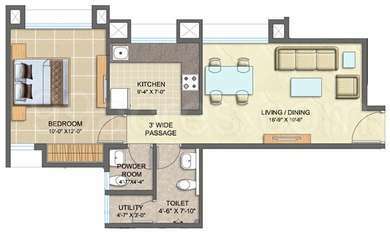 What is the area of 2 bhk in Lodha Splendora?  The size of a 2BHK unit in the project ranges from 570.0 sqft to 761.0 sqft. What is the area of Lodha Splendora?The total area that the project occupies is 15.0 Acres. Hi Amrit, the ready reckoner rate is the value of properties set by the state government and is known the minimum property value. 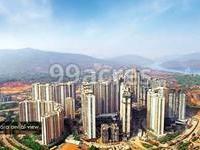 The current rate for a property at Ghodbunder Road, Thane is around Rs. 8,542 - 10,242/sq. ft. You can also visit the area's municipal/civic authority to know the ready reckoner rates. I am looking to buy an apartment in Lodha Splendora for investment purpose. Will it prove to be beneficial in the future? Kindly assist. Hi, Nayan, I am a realty consultant and might be able to help you. you can call me on ninety nine eight seventy seven nine seventy seven eighty eight. However, kindly avoid Lodha splendora as rates there have been stagnant since 2012. There are other properties worth investing in for stable and steady growth. Hi Nayan! I would suggest you to invest in Lodha Splendora because capital values have been stable since Apr-Jun 2014. Also, since launch this project has witnessed only 14% in rates which is very less from investment perspective. Investing here will not be going to be a wise decision rather my suggestion to you would be to invest in recently completed affordable homes and keep your investment time-frame for minimum 5-6 years to reap healthy ROI. Hi Nayan! Property rates in Ghodbunder Road have been stable for a while now, whereas prices have dipped by 3% in Lodha Splendora. However, with the proposed metro, which will run along Ghodbunder road and an elevated flyover, almost 4 km long will not only improve connectivity in this area, but also boost property rates. In addition, IT companies like Midas Touch Solutions, Virtusa and Aryan Technologies etc, which increase the scope for you to earn rental income from your property are present around this area. Nevertheless, to be fully sure I will suggest you to speak with a real estate expert before investing.